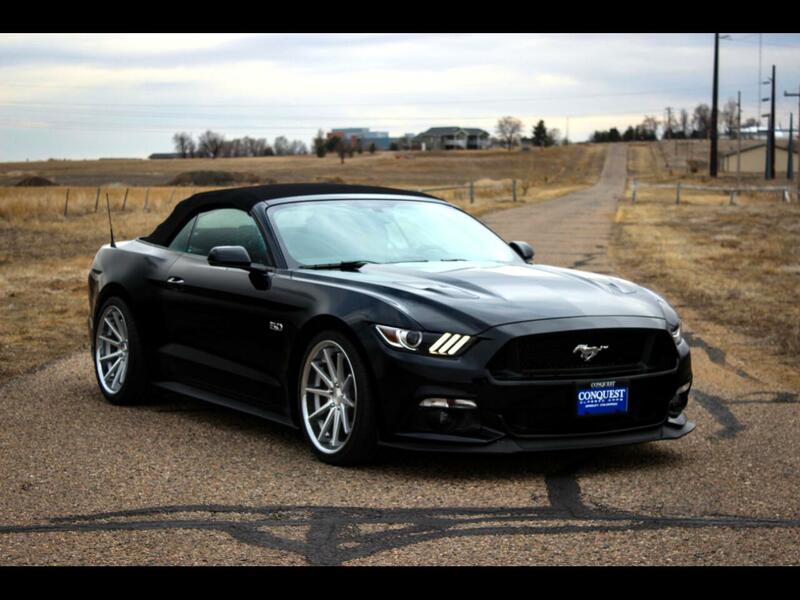 This 2017 Mustang GT was optioned with navigation, heated and cooled seats and leather interior. It was then modified by SCR Performance in Loveland, CO with a VMP Gen II-R 2.3l TVS Supercharger Kit JLT 3.0 Oil Separator, Brisk Spark Plugs, Ford Performance Pack Gauges, Steeda Diff Bushing Inserts and Hardware, Steeda UltraLite Lowering Springs, Steeda Subframe Bushing and Alignment Kit, Ferrada FR4 20" Wheels and Michelin Pilot Super Sport Tires. This car was recently dyno tested at 632 horsepower and 511 ft lbs of torque.